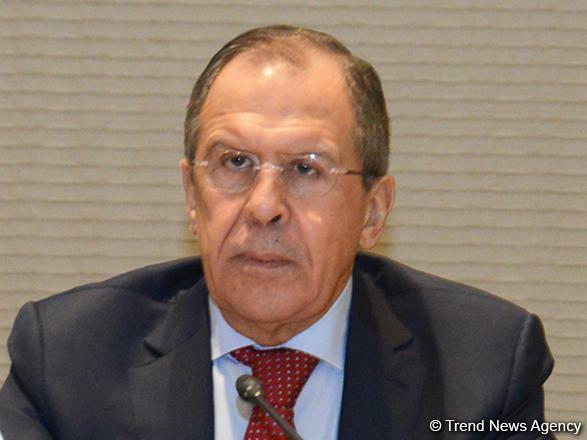 The Caspian Sea issue is significant, Russian Foreign Minister Sergey Lavrov said on Feb. 6. Lavrov made the remarks following the talks in Ashgabat with President of Turkmenistan Gurbanguly Berdimuhamedov. The Convention on the Legal Status of the Caspian Sea was signed following the Ashgabat summit in 2018, he said. 'This year, for the first time in history, Turkmenistan will hold an economic forum of the Caspian countries in August. The next, sixth summit of the leaders of the Caspian countries is to be also held in Turkmenistan. "We support your plans to intensify the cooperation of the Caspian countries," he added. Turkmenistan is considering the possibility of supplying its energy resources to the European market through the Caspian Sea. This project can be implemented within the EU-lobbied Southern Gas Corridor project. A 300-kilometer gas pipeline may be laid through the Caspian Sea to Azerbaijan's shores to implement the project. Turkmenistan declared its readiness to provide Europe with up to 40 billion cubic meters of gas annually. Russia and Turkmenistan have recently declared their readiness to expand cooperation in the Caspian Sea. A strategic partnership agreement between Turkmenistan and Russia was signed in early October 2017.